Google® gives more weight to websites that are fully encrypted. Secure your website within minutes to improve your search ranking. The products we offer are reliable, high quality and competitively priced. Trustico® includes a refund guarantee on all SSL Certificate products. Get started risk-free from only $18.96 per year. Companies, governments & public institutions worldwide trust Comodo® & Trustico® to secure their websites & protect their brands. Get a truly global SSL Certificate for your website or infrastructure by using our online ordering process and get your SSL Certificate sent directly to your e-mail address today. It makes sense. 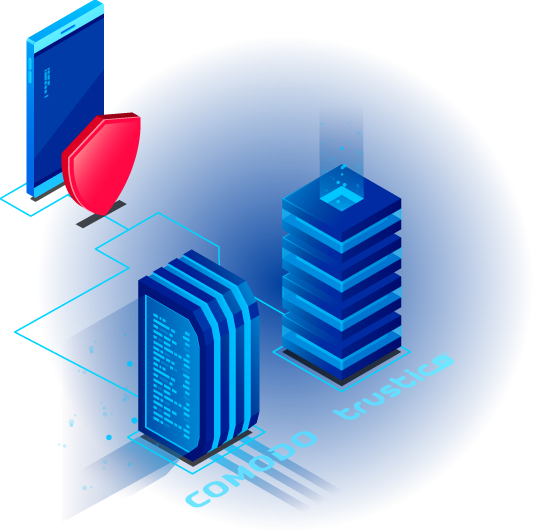 Comodo® & Trustico® offer a vast array of the best SSL Certificates and online security solutions at competitive prices. There’s no need to look any further, our solutions are trusted across all devices and are competitively priced and include a money back guarantee. Don't get caught out! 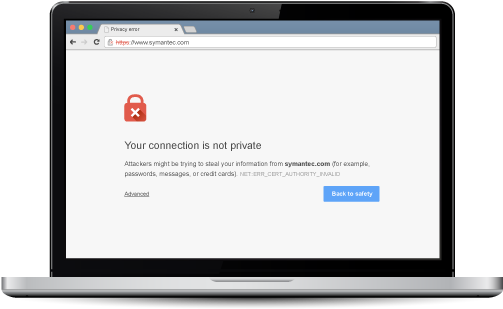 Any website that uses an SSL Certificate issued by Symantec® may be warned that their connection is not private and someone could be attempting to steal their information. Buy for Multiple Years and Save!